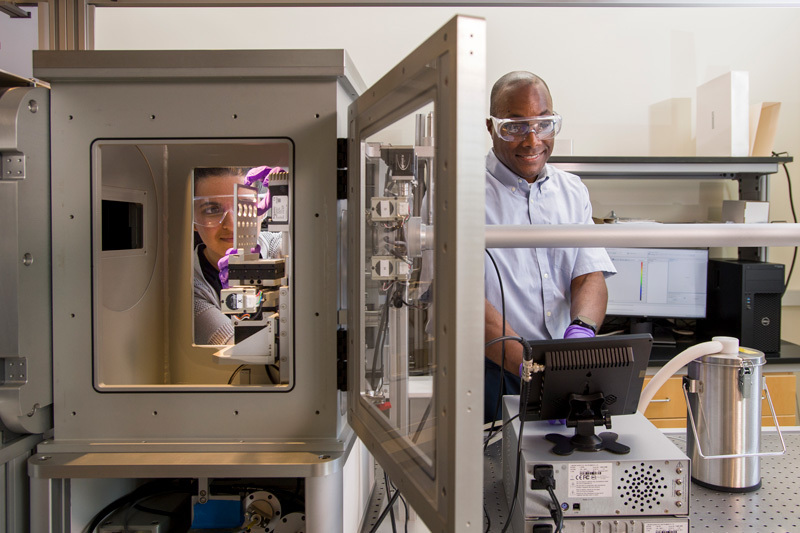 UD Professor Thomas H. Epps, III (right) and doctoral student Priyanka Ketkar use a SAXS microscope to examine tiny sensors. 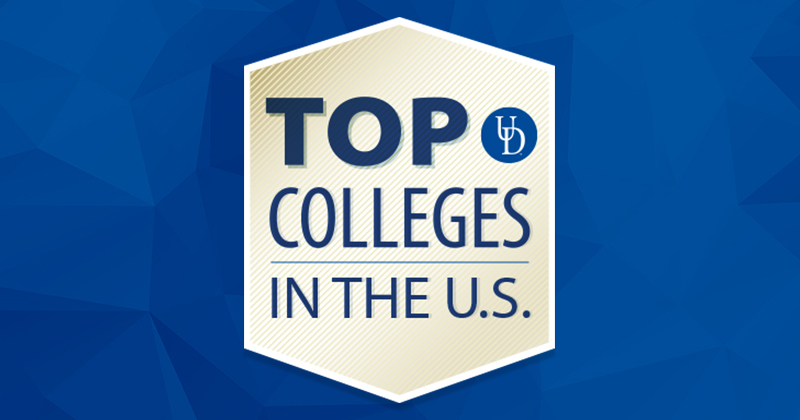 From polymers to catalysis to biopharmaceuticals, the Department of Chemical and Biomolecular Engineering at the University of Delaware is a world leader in chemical engineering research and education. The award-winning faculty includes five members of the National Academy of Engineering. The department’s graduate programs, which now rank in the top 5 percent nationally, have produced leaders of industry, academia, medicine and more. Learn more about master’s and doctoral degrees in chemical engineering and master of engineering in particle technology here. 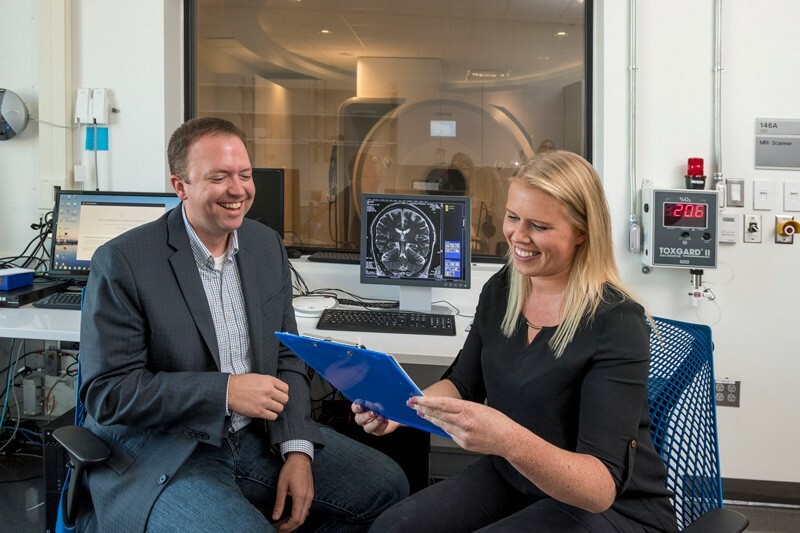 The University of Delaware’s Curtis Johnson (left) and graduate student Grace McIlvain are uncovering new information about mechanical properties of the brain. The University of Delaware started offering doctoral degrees in biomedical engineering in 2012, and since then, the program has grown into a powerhouse with research enterprises in biomechanics, neuroengineering, tissue engineering and much more. Two faculty from the Department of Biomedical Engineering received the NSF CAREER Award in 2018. Alumni of the department’s doctoral program have secured post-doctoral research positions and industry roles. Learn more about the doctoral degree in biomedical engineering here. 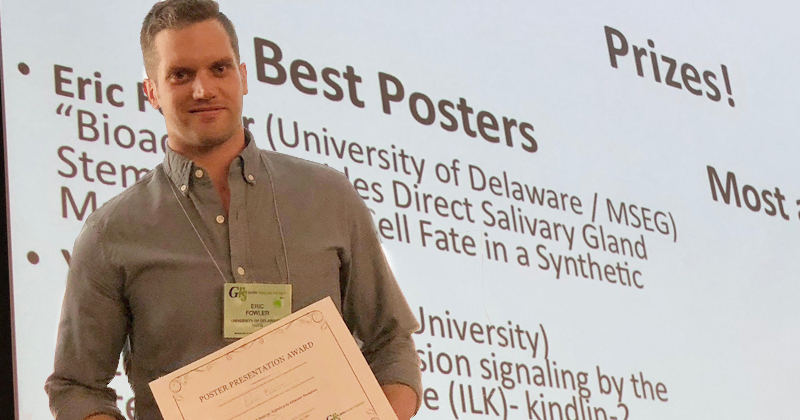 Materials science and engineering doctoral students Eric Fowler, shown here, and Anitha Ravikrishnan received the Best Poster Award at the Gordon Research Seminar on Multi-Scale Adhesion Mechanics and Signaling, held on June 23 and 24, 2018. From quantum technologies being developed in the UD Nanofabrication Facility to bioinspired materials and hydrogels, the materials of the future are being developed by students and faculty in the University of Delaware’s Department of Materials Science and Engineering. Graduates of the master’s degree and doctoral programs in materials science and engineering can now be found working for companies like Apple and 3M. Learn more about the master’s and doctoral degrees in materials science and engineering here. 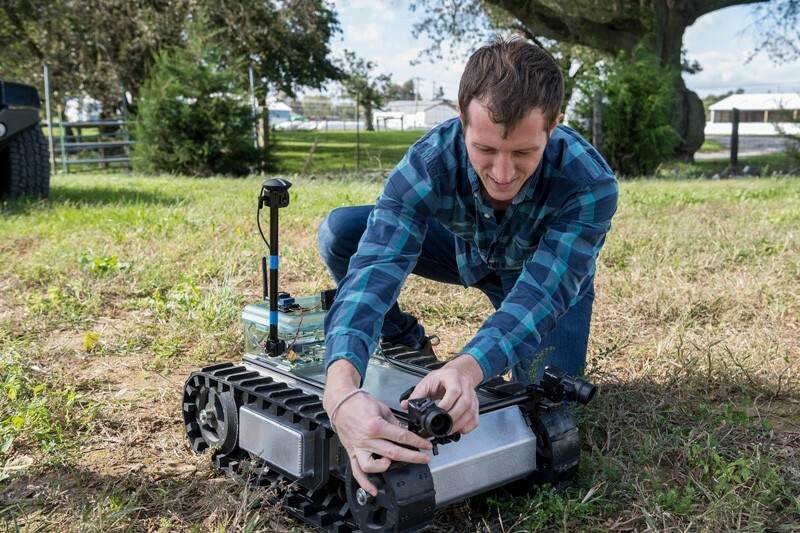 Adam Stager, a UD doctoral student in mechanical engineering, adjusts a ground robot before sending it into a cornfield. Mechanical engineers at the University of Delaware are making advancements in robotics, clean energy, nanomaterials, biomechanics, composites and advanced materials. Research centers such as the Center for Composite Materials, a world leader in research, education and technology transfer, equip graduate students to make cutting-edge discoveries alongside top experts. Graduates of our programs are thriving in industry and academia. Learn more about our master’s and doctoral degrees in mechanical engineering, including our new online master of science in mechanical engineering.